Part-Time Pretties: ScrapFIT Workout #79: Tape it up! ScrapFIT Workout #79: Tape it up! 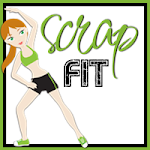 Be sure to check out ScrapFIT's latest workout, Tape it up! When in doubt, tape it up! 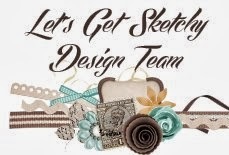 A new and exciting product in the scrappy world is Washi Tape and other tapes like it. 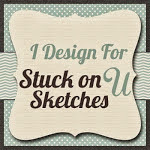 We want you to create a layout or a card showcasing fun and unique ways to use these fun new tapes! I think Washi adds so much impact to a simple card...like ribbon but so much easier to use and manipulate. I wanted to show you a quick closeup to demonstrate a technique I sometimes use to make an element stand out more...outline it in a similar color. Thanks for looking, and remember, head on over to ScrapFIT to link up your project and have a chance to win an awesome FITkit! I loveeeeeeeee this!! LOVING the colors and love love love how you used the tape!! !